The whole charade plays best as farce. Absurdity incarnate. The sight of former President George W. Bush receiving a medal from Democrat Joe Biden – once an ardent opponent of Bush’s war policy – in Philadelphia for “his work with veterans,” on Veterans Day no less, induced nothing short of a gag from this veteran of two Bush wars – Iraq and Afghanistan. George W. Bush, after all, led the U.S. military – to which I’ve dedicated my adult life – into two ill-advised perpetual wars, one of which was objectively illegal and immoral. In that war, in Iraq, some 7,000 American troops – including three of mine – were killed fighting in an unwinnable quagmire. Furthermore, though it slipped the attention of an American citizenry best known for its provincial inwardness, at least 250,000 Iraqis – mostly civilians – were killed. In a just world this would be labeled what it is – a war crime – but in this era of American hegemony, the populace simply sighs with apathy. Qatar withheld the release of this documentary on grounds of national security. Qatar’s rulers were said to be anxious of an invasion by its larger neighbor Saudi Arabia, or the withdrawal of the massive US air base, Al Udeid, through pressure from the Israeli lobby. "Following our reporting on this, Instagram has removed the hashtag #jewsdid911. It was active for years and had over 11,000 posts. It was one of the top search results if you searched for “Jews.” Why did it take our questions to get it removed?" [That's sort of funny, because when I shouted to Trump that "Jews were arrested on 9/11 in New Jersey, not Muslims," and that "Israel did 9/11!," he replied by declaring on live TV that "hes alright, hes okay, he's actually a Trump guy, he's on our side, he's very committed, hes just got a lot of energy."] LOL. :-) Video of his odd response here. The photographs and video clips included in this video are used under the Fair Use provisions of the Digital Millennium Copyright Act. In this interview from 2005, Gore Vidal plugs David Ray Griffin's "The New Pearl Harbor", and recommends it as reading material. Bin Laden is reported to have arrived in Dubai on July 4 from Quetta in Pakistan with his own personal doctor, nurse and four bodyguards, to be treated in the urology department. While there he was visited by several members of his family and Saudi personalities, and the CIA. The CIA chief was seen in the lift, on his way to see Bin Laden, and later, it is alleged, boasted to friends about his contact. He was recalled to Washington soon afterwards. Former Director of Mossad says its useful to deal with child killers, Al-Nursra... and those behind 911, [Al-Qaeda] in a humane way... but not Palestinians, Syrians, or Hezbollah. MIKE PENCE – FAKE ANTHRAX VICTIM? Robbie Martin pointed out to us that during the highly suspect Anthrax scare, Mike Pence was one of the politicians who used the episode to showboat. If you don’t known how suspect the Anthrax scare was, this is worth watching. But the fact is, most Americans—and especially most Christians—are totally unwilling to face the truth about 9/11 and America's never-ending "War on Terror." They are unwilling to face the truth, because they know the truth will shatter almost everything they have been taught and believe. More and more researchers and facts have emerged since the first few years after the event. This is the 17th anniversary of 9/11. During the years that have passed large numbers of experts have established conclusively that the official government account of the event is false. Every year fewer people believe the unbelievable conspiracy theory that a handful of Saudi Arabians outwitted the entirety of the US National Security State and attacked with hijacked airliners the World Trade Center and the Pentagon. Nevertheless, the official story still stands, just as the official story of President Kennedy’s assassination still stands despite majority disbelief, just like the official story of Israel’s attack on the USS Liberty still stands despite all evidence to the contrary. In the US the government never corrects its proven lies. People all over the world are amazed that Americans could witness videos of the two towers blowing up floor by floor and the obvious controlled demolition of Building 7 and conclude that they were witnessing buildings collapsing from asymetrical structural damage and limited, short-lived office fires. On the 17th anniversary of the September 11, 2001, terrorist attacks that destroyed the World Trade Towers and damaged the Pentagon, Radio Sputnik spoke with the authors of a new book that hit shelves last month about the failures of the US intelligence community and heretofore unknown connection the hijackers had with the Saudi monarchy. On Radio Sputnik's Loud & Clear Tuesday, hosts Brian Becker and John Kiriakou spoke with Ray Nowosielski and John Duffy, about their new book: "The Watchdogs Didn't Bark: The CIA, NSA, and the Crimes of the War on Terror," and some of the shocking facts it brings to light about how competition between intelligence agencies for information overlapped with the creation of "a little crucible" in California for two key 9/11 hijackers by figures with high-up connections in the Saudi state in the year before the attacks, and that those same people were allowed to keep their jobs and advance in the CIA. Whether you believe the 9/11 attacks that happened back in 2001 were the result of a government conspiracy and coverup or a terrorist attack, people still died and their deaths should be remembered. But Twitter users instead, are “celebrating” the anniversary of the “deserved” attack. Not everyone on the left-leaning social media Twitter decided to mourn the lives lost on September 11, 2001, on the 17th anniversary of the loss of almost 3,000 lives. Some took to the social media platform (which has supposedly dedicated itself to “conversational health” according to Breitbart) to say those who died deserved it. The "false flag" operation on September 11, 2001 was aimed at creating “the new Pearl Harbor” into the American public, American scholar James Henry Fetzer says. “The unique historical opportunity presented by the dissolution of the Soviet Union in 1990 ….require[d] a new Pearl Harbor, a traumatic catalytic event, which would instill fear into the public that they were under attack by a foreign power,” Fetzer, who has done extensive research on the 9/11 attacks, told Press TV in an interview on Tuesday. “The contrived events of 9/11 were carried out by the CIA, the neocons, the Department of Defense and Mossad (for) the project of the New American Century,” he said. A former US army officer and freelance writer disclosed that the US administrations have always attempted to conceal links between Saudi Arabia with the hijackers who caused the 9/11 tragedy, regretting that many American citizens are not aware of Riyadh's role in spreading extremism, support for terrorism and crimes in Syria and Yemen. "Since 9/11, there has been a sustained effort, across both Republican and Democratic administrations, to conceal from the public any indication of Saudi government links to the attacks," Brian McGlinchey told FNA on Saturday. McGlinchey launched 28Pages.org in July 2014 as an information and activism hub for the nonpartisan movement to declassify 28 pages on Saudi links to 9/11. While many around the globe remember 9/11, fewer may recall that before 2001, September 11 was already known as a day of catastrophe for those residing in the less affluent Global South. September 11 1973 was a day when democracy in Latin America was dealt a heavy blow, a day when a democratically-elected government in Chile was struck by a coup supported by the CIA, no less. The response of Chile’s president, Dr Salvador Allende, to an attack on democracy could not be more different from the reaction of George W. Bush 28 years later. President Allende fought to the end for his country’s democracy. Hoodwinked at Shanksville: The Boeing 757 Challenge! 911 DISCUSSED BY REAL PEOPLE WHO DON’T PULL PUNCHES & DON’T HAVE A HIDDEN AGENDA & WHO ARE SEEKING TO KNOW THE TRUTH OF THE MATTER – GET UP TO SPEED! Do you believe the government version of what happened, or do you believe the “first responder’s”, eye witness’s, architect’s, and engineer’s version? Which makes more sense? Which offers more evidence and credibility? Who has more to gain from their story being believed? What do they have to gain? Who’s benefited more from the government’s version? Are you an American mushroom? Does the government keep you in the dark and feed you S _ _ t? 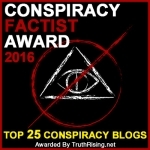 Will you believe the next version of whatever false flag event takes place – you know; “Saddam has weapons of mass destruction”, “Assad gassed his own people.”, “Antifa is seeking to protect America from Trump”, “There is no ‘deep state’.”, “Anna Nicole Smith married for love.”; yeah, yeah, yeah! On 27 November 2009 PilotsFor911Truth.org published a simple fact about the flight of Flight 77 which makes a conventional hijacking scenario impossible - according to Flight Data provided by the NTSB the Flight Deck Door was never opened in flight. The status of the door was polled every 5 seconds from 12:18:05 GMT to 13:37:09 GMT, and each poll logged the door as closed (a CSV file of the log can be downloaded here). Bush Saw The First Plane Hit! 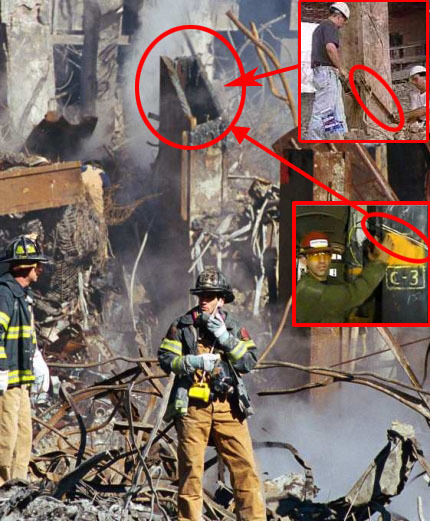 Advanced Knowledge of 9/11? With America on top security alert, the FBI was hunting yesterday for six men of Middle Eastern appearance carrying plans of a nuclear power plant and the Trans-Alaska oil pipeline who were picked up by police in the Midwest over the weekend but then released. The bombing of Iraq was only the beginning of a larger conflict that the Bush Administration dubbed “The Global War on Terror.” The War on Terror did not end in the physical battlefield, however. The U.S. government was determined to root out all possible terrorist activity and in the process roll back as many of America’s hard-earned liberties as possible. Many of the bills passed in the aftermath of the 9/11 attacks have contributed to the rise of a Surveillance State. Now that the seventeenth anniversary of the horrendous 9-11 events that occurred in New York City is upon us, we slowly—but surely—are finding out just how much was kept from the public. NYPost: A Syrian refugee living in Canada was arrested for the 2017 killing of a teenager whose body was found in a secluded area of a park outside Vancouver, a report said Monday. Iranian Foreign Minister Mohammad Javad Zarif lashed out at the US administration for closing its eyes on the reality that the Saudi government played the main role in the 9/11 terrorist attack and then punishing Iran which is the first enemy of terrorist groups. "17 years after 9/11, Iran – (the) 1st Muslim nation to condemn tragedy, mourn victims and take real action against al-Qaeda and its offshoots including, the ISIS and Nusrah (Tahrir al-Sham Hay'at or the Levant Liberation Board) - has been fined $11bn and its citizens banned from US," Zarif wrote on his twitter page on Tuesday. He referred to the friendly ties between Washington and Riyadh, and said, "All while White House auctions off foreign policy to terror sponsors (Saudi government) whose citizens perpetrated 9/11." White House aid Andy Carter informs Bush that the second plane has crashed into the second tower at the one minute mark. At that point, according to statements made by the government, everyone knows this is a terror attack. Where is the Secret Service protective detail? They should be in that video, grabbing the President and getting him to safety. At Booker Elementary School on 9-11, the Secret Service did nothing. The dog did not bark. There are currently 0 users and 789 guests online.